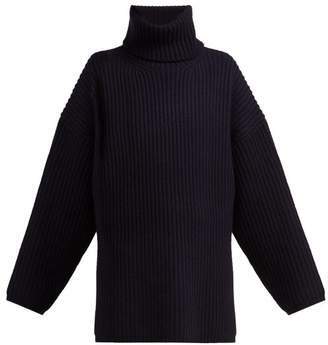 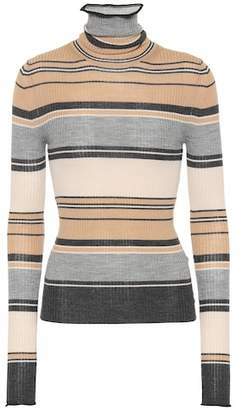 You'll be enveloped in irresistible softness with this turtleneck wool and mohair sweater from Acne Studios. 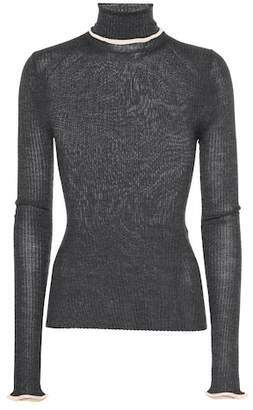 A sophisticated volume effect is created from its fitted cut and large cowl-neck collar. 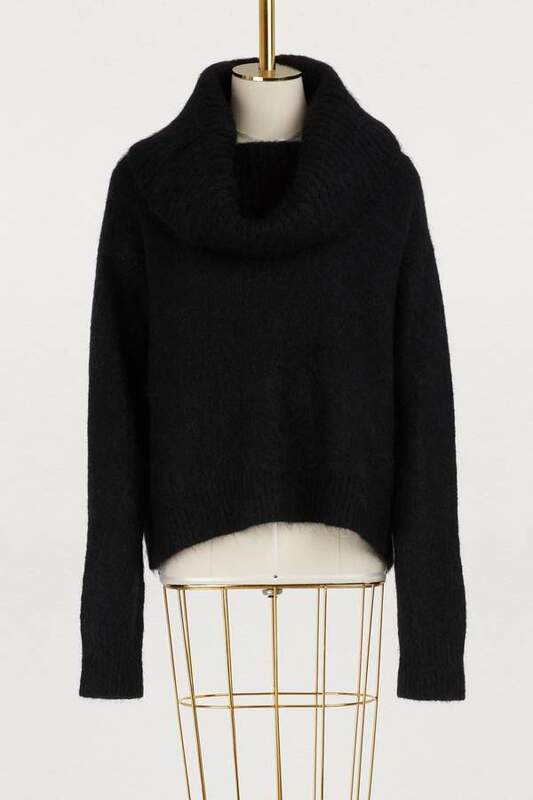 The delicate knit comes in black, embodying the original Scandinavian simplicity of the brand. 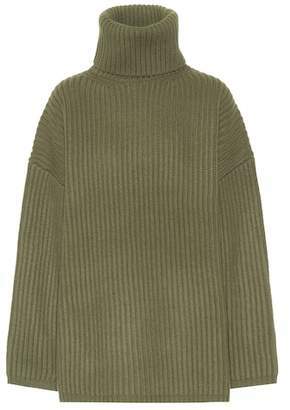 Dare to contrast it with pale fleece pants for on-trend comfort.